Garrigues is one of 28 law firms – both Spanish and international – which have come together for the first time, under the motto “supporting legal pro bono”, to form the Fundación Pro Bono España. To facilitate access to professional advisory services and specialized legal assistance by entities or groups of persons who, for economic or other reasons, find such services difficult to access. To provide all the actors involved, such as lawyers, universities and the third sector, with the necessary tools to create synergies and multiply the scope of their work. To offer all legal professionals an effective means of participation, for the common purpose of promoting justice and true equality of all citizens before the Law. 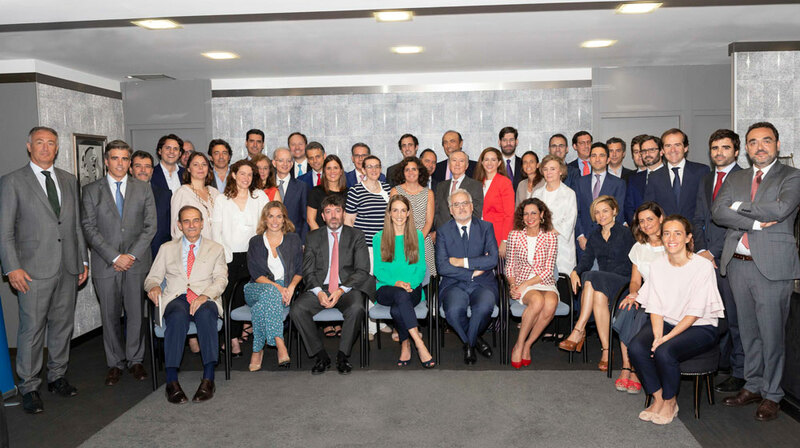 On Thursday, June 28, representatives of all the firms making up the founding board of trustees of the Fundación Pro Bono España appeared before a notary to execute its deed of incorporation. During the foundation’s first meeting, which took place on that same day, José Luis de Castro was appointed as its president and Valentín García as its deputy president. The other firms forming part of the founding board of trustees along with Garrigues are: Andersen Tax & Legal, Arinsa, Ashurst, BLP Abogados, Bufete Barrilero y Asociados, Clifford Chance, Cuatrecasas, De Castro, Dentons, DLA Piper, Elzaburu, Ejaso ETL Global, Eversheds Sutherland Nicea, Huerta & Solana, King & Wood Mallesons, Latham & Watkins, Lean Abogados, MA Abogados, Pérez-Llorca, Ramón y Cajal Abogados, Roca Junyent, RCD, Sagardoy, Toda & Nel-lo, Watson, Farley & Williams, and White & Case.